Narjes Torchani is a Tunisian cultural journalist and film critic in La Presse, the national daily newspaper of Tunisia. 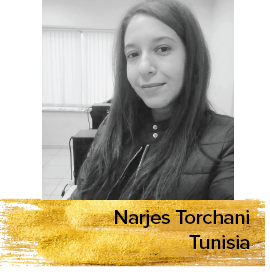 Narjes started her career writing about films within the Tunisian association for film critic promotion. She has taken part in several international film festivals, as a jury member, a workshop participant and a film critic.